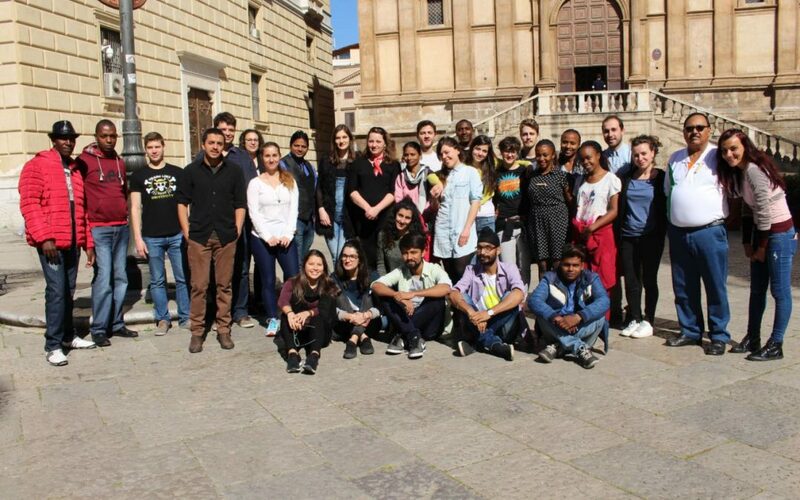 From the 18th to the 25th of March 2017 youth workers and young people coming from 5 countries from 3 different countries (Austria, Italy, Slovenia, India, Kenya) are in Palermo for a training course on non-formal approaches and creative activities to promote reading among young people. The training course is organized within the project “READ – Reducing social Exclusion through a creative approach to reADing”, co-funded by the Erasmus+ Programme, KA2 Capacity building for Youth. During the training course, participants will learn and develop new activities and methodologies to involve young people in reading, particularly the ones at risk of marginalization and school dropout, to favour their social inclusion and integration in the learning path. All the activities performed during the training course are based on non formal approaches and creativity. The Centro per lo Sviluppo Creativo “Danilo Dolci” invites you to participate to the event organized by Arte Migrante on Friday 24th March 2017, in Centro Accoglienza Santa Chiara, Palermo, at 20:30. During the event, participants to the READ training course will present some of the creative products to re-interpret books developed during the week. It will be a great opportunity to participate to an intercultural event and discover new artistic expressions.